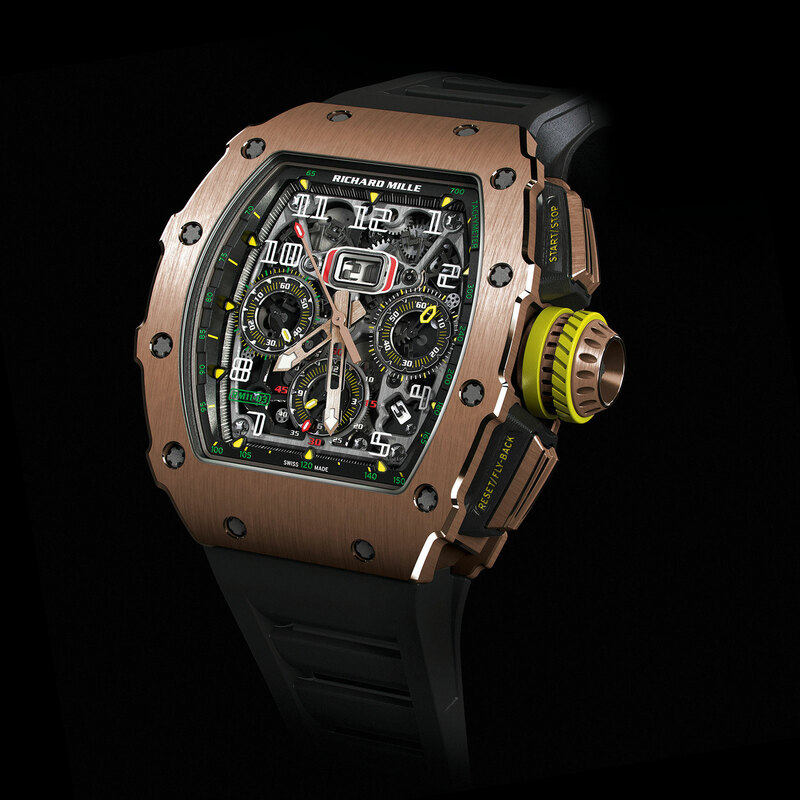 The Richard Mille smash hit enters its second generation with the RM 11-03 that's more of the same with an edgy twist. 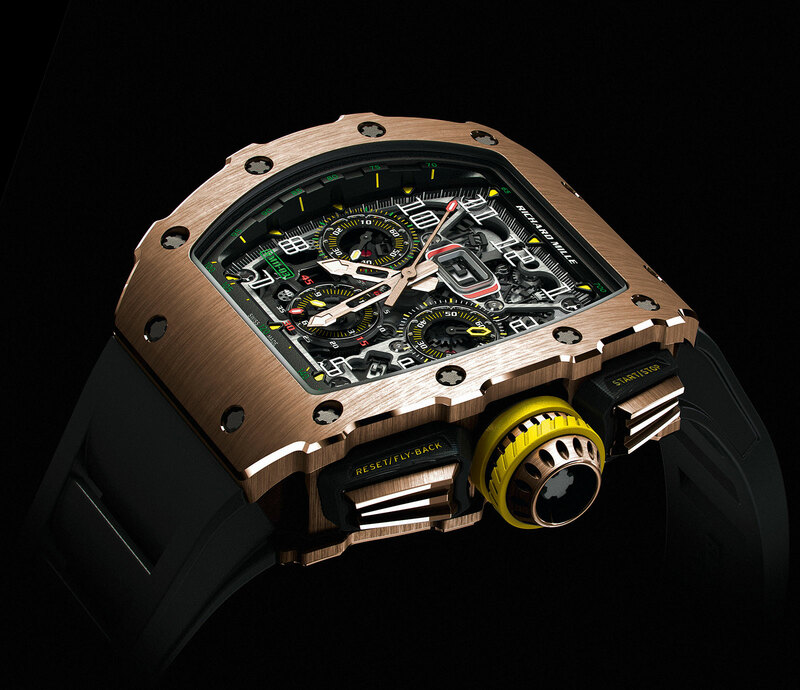 Long the top seller’s amongst Richard Mille‘s timepieces, the RM 011 chronograph has been redesigned, keeping to the same basics but with a dose of aggressive, techy styling. 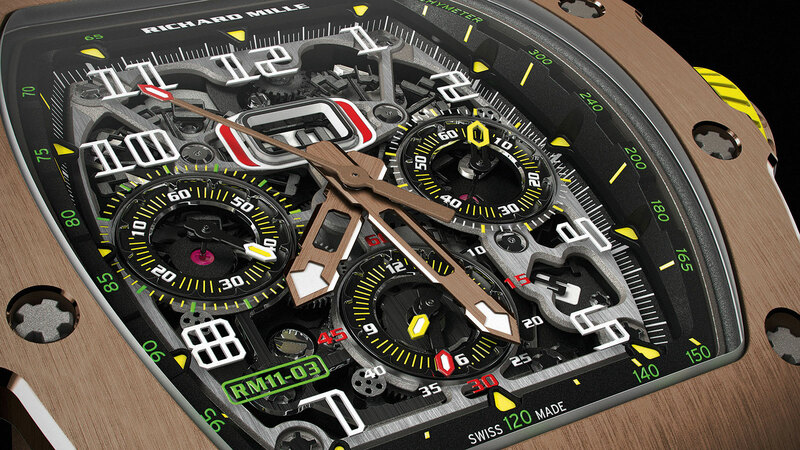 Richard Mille watches have always been about automotive inspiration, and the RM 11-03 is like a hyperactive car racing computer game. Popular for its shape and noticeable size, the RM 11 sticks to the brand’s signature tonneau shape, but with slightly changed proportions. The new RM 11-03 is shorter but wider than its predecessor, being 49.94mm in length and 44.50mm wide, but remains exactly the same height at 16.15mm. 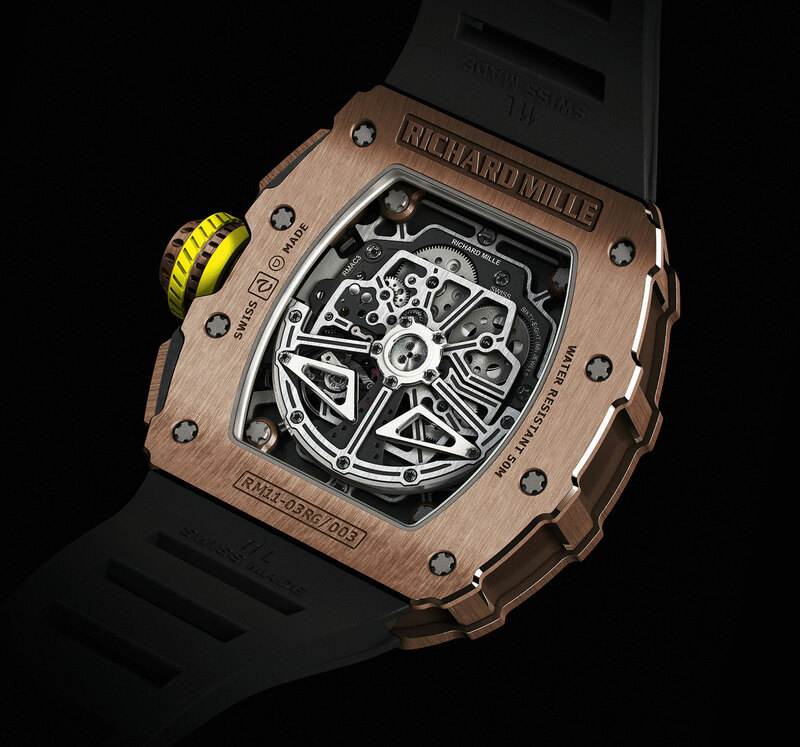 Another new case feature are the columns on the case flanks in the same style as the ultra-light RM 27-01 Rafael Nadal that give the case a more sculpted, angular look. Other aesthetic tweaks include the new rubber-ringed crown and pushers, as well as a redesigned skeleton dial featuring coloured accents and sunken sub-dials with bevelled edges. And a less obvious, but significant change is the model name at seven o’clock on the dial. While the first generation was labelled “RM011-FM”, regardless of version, the latest is just “RM11-03”. That’s because the RM011 was originally conceived for Brazilian Formula 1 driver Felipe Massa, who will retire at the end of the 2016 season. Visible through the dial is the titanium base plate of the movement, the RMAC3, equipped with double barrels and a 55-hour power reserve. The self-winding calibre is made by movement specialist Vaucher, and remains mechanically identical to that in the first generation RM 11. Featuring an annual calendar function, meaning it accounts for months with 30 or 31 days (so requires setting once a year in February), the RMAC3 also has a flyback function, meaning the chronograph can be reset and restarted instantaneously with one button. The movement has undergone a major cosmetic overhaul, with brushed titanium bridges and a restyled variable geometry rotor. 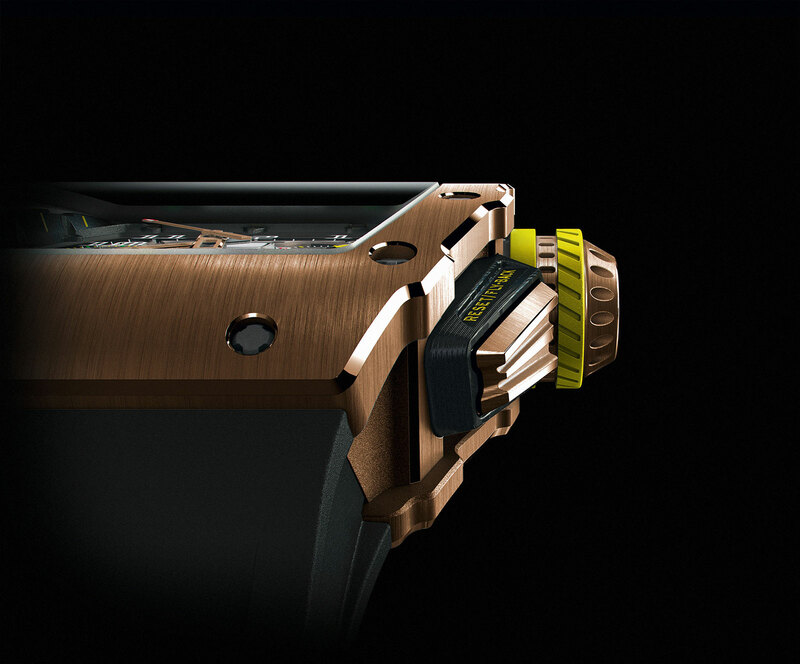 Put simply the rotor has adjustable flaps to vary the efficiency of the automatic winding to suit the wearer’s activity; this adjustment has to be done by a watchmaker. Addition September 2, 2016: Included explanation for the removal of “FM” in model name.